Gather 'round! 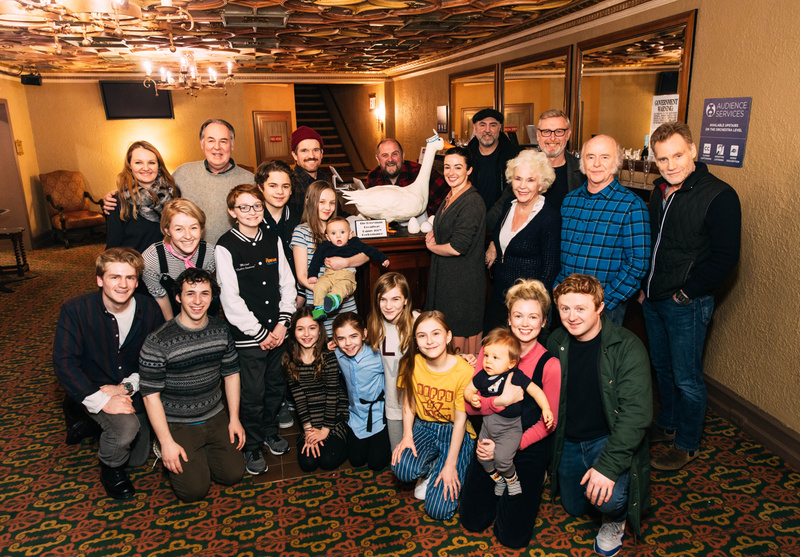 The Ferryman cast celebrated 100 performances on Broadway on January 16 at the Jacobs Theatre. 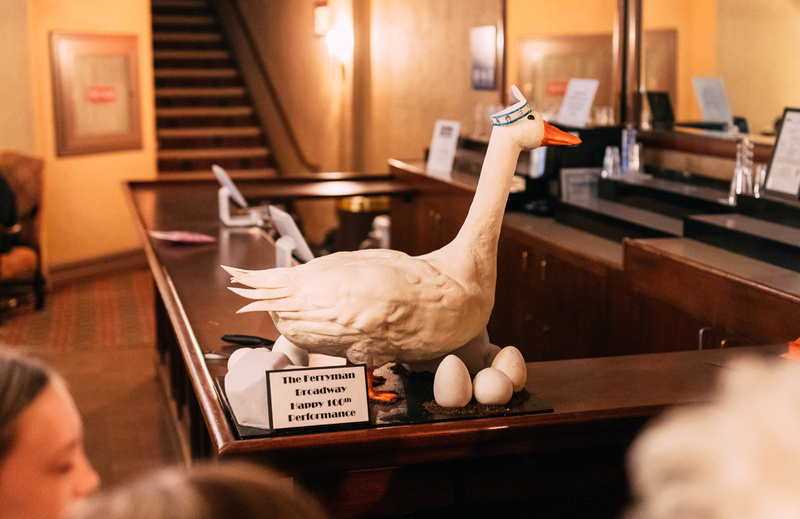 In honor of the occasion, City Cakes cooked up a special treat - a cake in the shape of the scene-stealing goose from the acclaimed new Jez Butterworth play. The cast, led by Laura Donnelly, posed with the dessert before digging in for a bite. Check out the fun photos of the celebration and be sure to visit the The Ferryman for yourself. 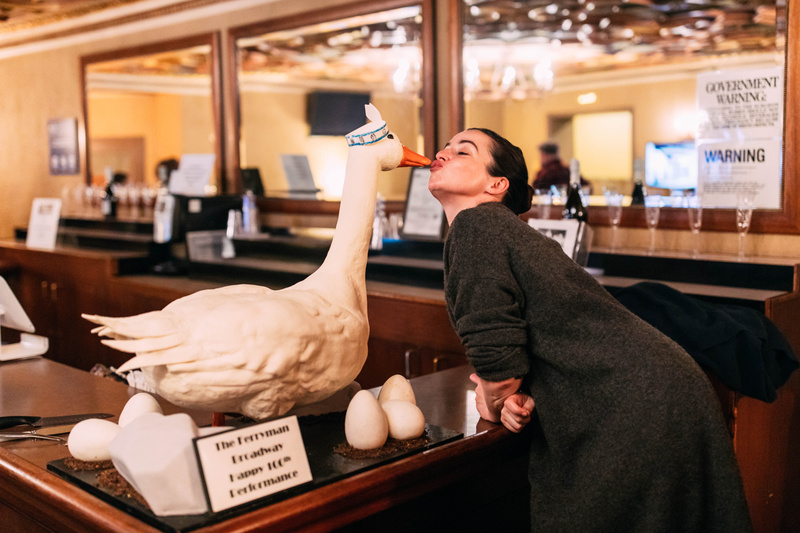 Laura Donnelly kisses the goose cake. Cake design by City Cakes.